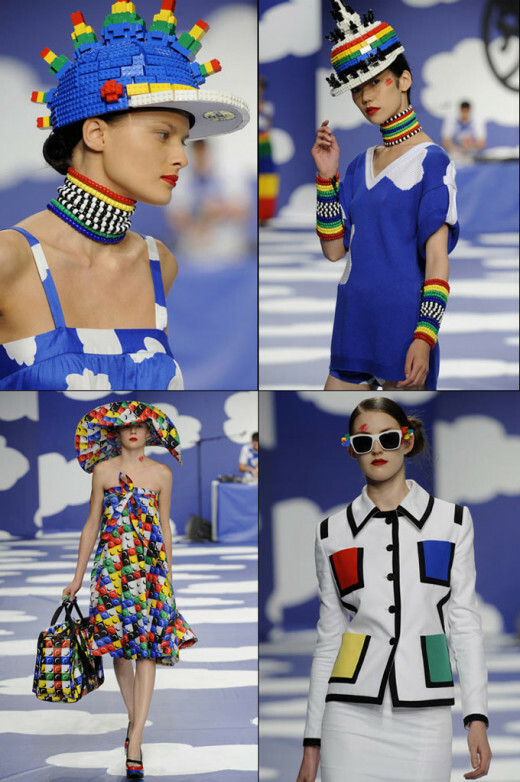 Do Some Designers Go Too Far For Fashion? I have to admit, I am not the most adventurous person when it comes to fashion. Give me a plaid shirt, a pair of jeans and I'm happy as a pig in a puddle.. OK, so that's not the best visual. Really, though, it takes a lot for me to go out and really shop for anything that would even be considered to be in the realm of the latest fashion. I have done some shopping since we moved here to Las Vegas, though, simply because when we do go out to high-end hotels or to shows in nice theaters or auditoriums, I want to try to look nice. I make an attempt at least to look like I didn't just fall off the turnip truck. Even if I did just fall off... well, you get the idea. Did you know that if you do a web search on unique fashion or something along those lines, you sometimes come up with things that will totally shock your pea-pickin' little heart? Seriously. Some of these "designers" seem to try to make dresses and accessories that have shock value and will be something that people will talk about for days or even weeks after they see someone wearing their designs. Just think of how every time Lady Gaga wears the latest freak show... I mean fashion statement, (I'm thinking of the "meat dress" when I say that) people talk, and you'll know exactly what I mean! She is a very good singer, and we've actually grown to like her music, but when it comes to fashion, she seems to love anything that has shock value. Maybe she is just being an extremely smart marketer! That's what some designers go for I think. When I decided to search for dresses and accessories that were made of interesting materials, I sure found some strange and wonderful things! I have to admit, in all of my searching, my FAVORITE so far has been a dress fashioned from LEGO'S that Fergie from the Black Eyed Peas wore in the Spring of 2011 to the Nickelodeon Kid's Choice Awards. She gets the award for the coolest fashion I think I have ever seen. 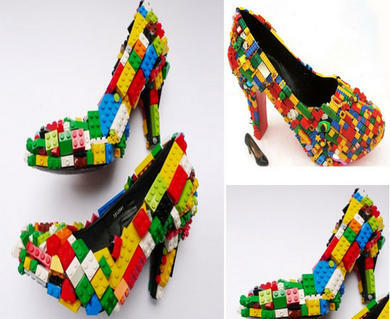 The only other thing that even comes close to the "cool factor" of that particular dress is this assortment of high heeled shoes I found crafted from LEGO'S. I guess from raising boys, we always had LEGO'S in the house, and I grew to really love those ingenious pieces of plastic that you could use to make a million things. I loved 'em until I stepped on one of those suckers... then ~ Let the expletives fly! Woohoo!!! OK, so those things HURT when you step on 'em. But hopefully when they are on the outside of shoes like these are, they are OK. Still, LEGO'S are probably my favorite out of all the toys our boys had. I know that girls love LEGO'S too, it's just that my experience so far was limited to boys LEGO'S. In fact, I have a dream of making it to "LEGOLAND" in California one day. We'll have to see if we can make that one happen, I think it would be a fascinating place to visit! I guess in some ways, I'm still a kid at heart. Dresses Made Of Casino Chips Or Wiffle Balls, Anyone? 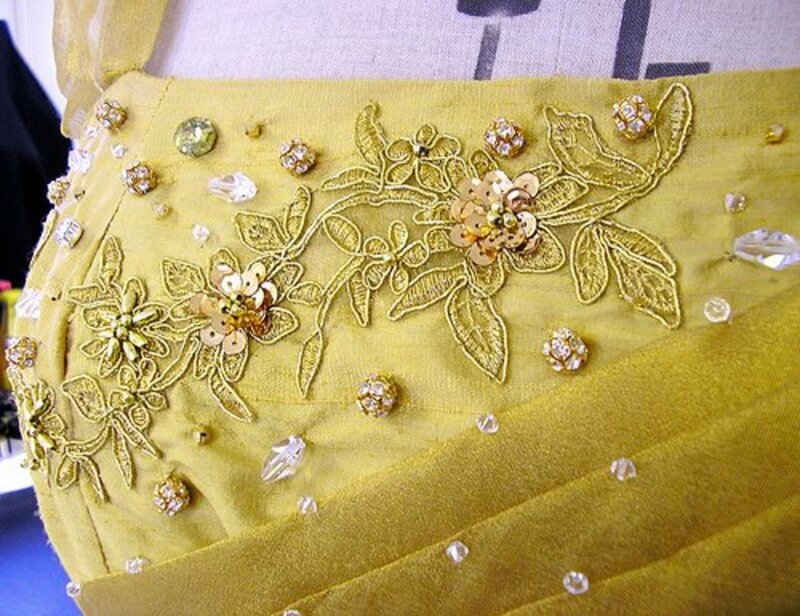 I think my next favorite dress that I found was one made entirely out of casino chips. I can't even imagine the attention you'd get walking through one of these casino's here in Las Vegas wearing something like this! Or whether you'd be labeled a "security risk" for doing that! But, they do look kinda neat. Just watch that lady wearing the chip dress, OK ... over and out? 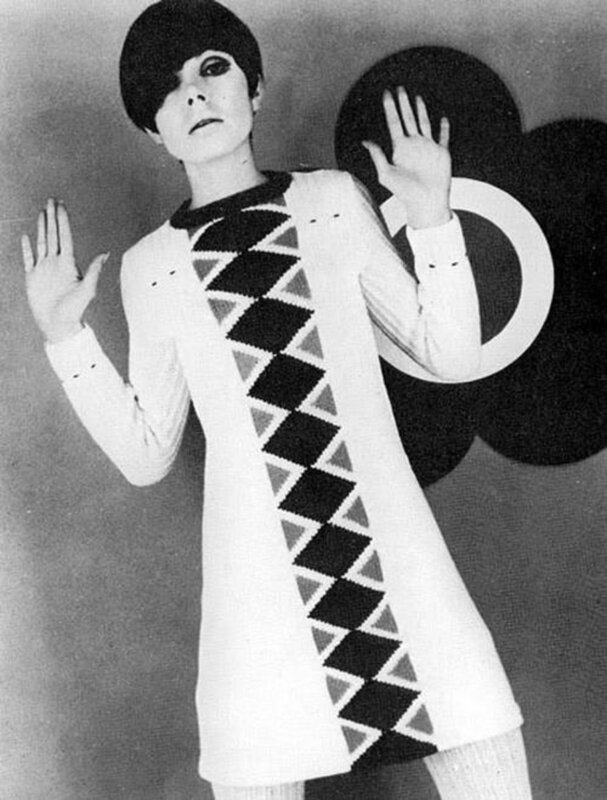 Or if that isn't to your liking, how about a dress made of wiffle balls? Just go to the dollar store, pick up as many wiffle balls as you can fit in one of those li'l carts and off you go to create the "gown" of your dreams! I thought it was funny, but not to wear as a serious piece of fashion. Unless you're Lady Gaga maybe? Toilet Paper, Trash Bags and Cream Puffs... NOT All On The Same Dress! So, the rest of the unusual dresses I found I decided to put on the "YUCK" list for various reasons. First of all, a toilet paper dress is fun to make at a bridal shower, or a diaper dress is fun to make at a baby shower for grins and giggles. But, to really wear one? I'm not so sure about that! The dresses I found in my search were meant to be worn at a wedding. Well, I guess if you really want to make a statement at your wedding... just what would that statement be anyway? And my other question is, just how much toilet paper do you need to fashion one of these beauties anyway? My guess is a LOT and it'd have to be at least two-ply minimum... I mean, you get that super paper thin stuff and you're gonna show off stuff you don't want to be showin' off to everyone in the pews on your wedding day, especially if it rains! Moving on... how about a dress made entirely of HEFTY bags? Well, you wouldn't have to worry about rain when you're wearing one of them! Yep, a garbage bag dress. It really does look kinda stylish, if you squint when you look at it and just take in the shininess of it, in an odd, "Elvira" kind of way, a little creepy but fashionable! Just hope that the bags are brand new out of the box and not used, or you will have some very UN-welcome pigeons and heaven only knows what else following you down the street as you wear one of these contraptions! This last dress, I'm not sure why I put it on the gross list, because I actually like cream puffs. Hey, I've been to that State Fair in Wisconsin where they sell the world's most AWESOME cream puffs... but I have to draw the LINE at a dress made from cream puffs! It seems that this happened in the Ukraine. 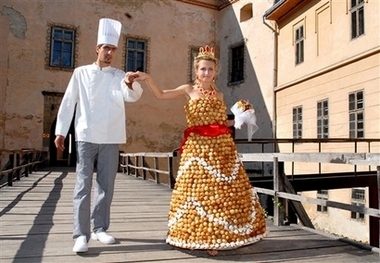 A baker there actually made a dress for his bride-to-be fashioned entirely out of cream puffs. While it is fashionable, and it probably even smells good until you've worn it for a while, I think I'd have to pass on the cream puff dress! Some interesting facts about the cream puff dress. It was made by a 28 year old baker named Valentyn Shtefano, and it took him two months to make. When it was done, it weighed about 20 pounds and is crafted from 1,500 cream puffs. At first, when he was trying to make it, he tried sewing the cream puffs together. That didn't work too well. It kept falling apart. So, he made a wedding dress frame and stuck the cream puffs to the frame, and he had to have his bride model the dress for hours at a time so he could attach more cream puffs to it. The necklace she wore in the wedding, as well as the crown she wore on her head, were also edible. They were both made from caramelized sugar. This is one bride who really was "pretty enough to eat" on her wedding day. When the wedding was over, the bride actually didn't want to take the dress off. Dude, you spend two months makin' it and she doesn't want to take it off? Dude... that had to be kind of a bummer on your wedding night, either that or it was a very nice compliment! Depends on how you look at it I guess! In a fun side note, this same baker, Valentyn Shtefano, and his sister once entered an international baking competition. They had made a 1920s era Cadillac that measured about two feet long that was crafted from cream puffs and caramel, and they took third place! Seems this baker has an extremely creative side and is one to be watched in the future. I've heard of dresses being made of candy wrappers, various colors of duct tape and other creative materials. Usually you hear those stories every year around the time of high school proms. Girls will decide they want to wear something totally unique and they find a way to express themselves in some fun ways. I guess the best advice when it comes to fashion is to always just be yourself and wear what is comfortable to you. If that means wearing a meat dress or one made from cabbage, go for it! 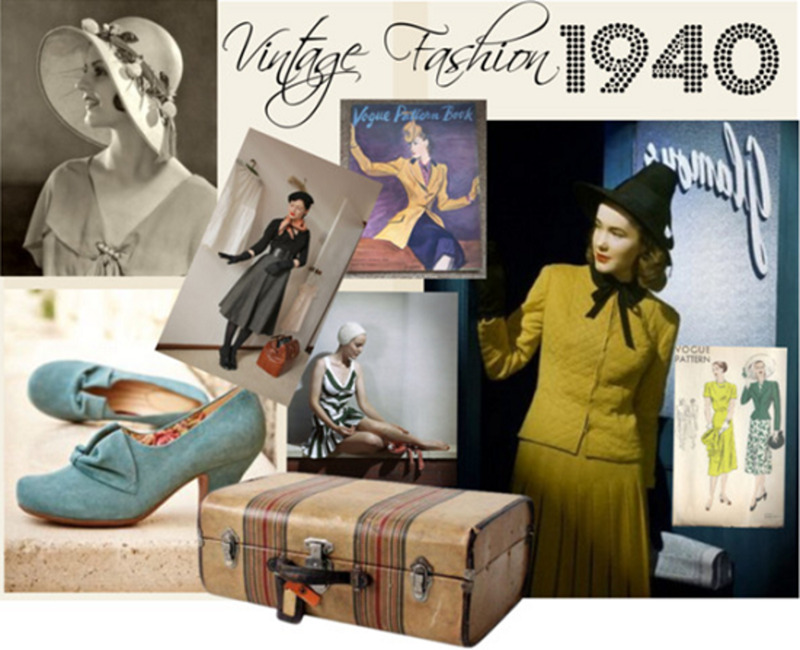 Style, creativity and flair are expressed in interesting ways and every person has their own fashion sense. It's only weird if you let others convince you it is. 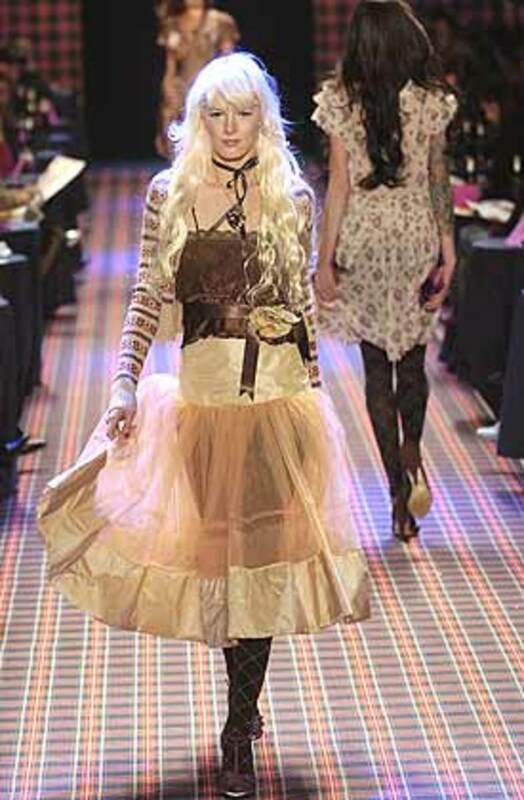 Have fun, Fashionistas and rock that fashion world! Go give 'em something to talk about! The first wedding dress is savage!! Hi, this reminded me of the time when I was a punk rocker! lol! dustbin liners for dresses, pins through the nose, and very holey tights! I want a lego handbag! haha! The toilet paper dress did surprise me though. Yup - some of these are very weird but some are gloriously beautiful! Very interesting hub subject. The wedding dress as well as the rose colored dress are stunning. I love fashion, in reality its art. I think the Toilet paper dress is beautiful, ill take one!! Somewhere in Japan at this very moment, someone is crafting a wedding dress made out of sushi! Loved your good humor in this one, Kathy! I sat here for awhile after reading this. I still...have no idea what to say. A cream puff wedding dress? Toilet paper wedding dress? Oh my!